"Your performance at our Awards Dinner… was a highlight of the evening!!”". From private parties and picnics to large banquets, our performers can add a ton of fun to your event! Are you looking for performers to mix-and mingle with your guests? Perhaps somebody to plan and run games and activities? Or even a full stage production? 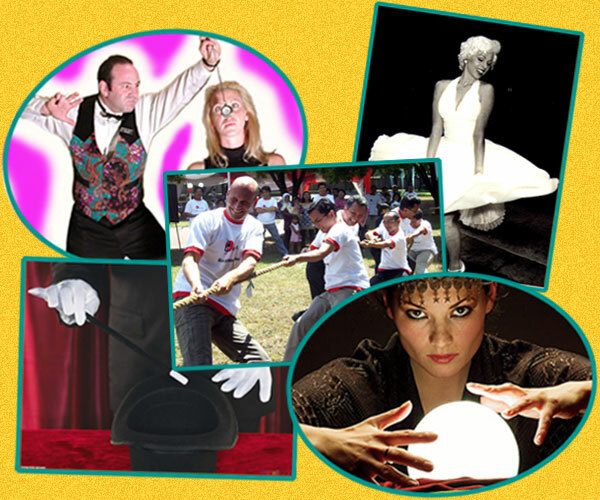 Our staff will assist you in designing the perfect blend of talent to make your event spectacular!